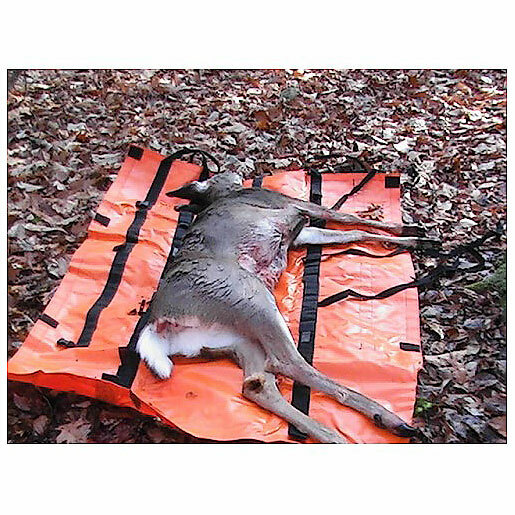 A: The Sled is made from an Industrial Vinyl that has a high abrasion resistance and tear resistance (propriety knowledge) that can endure harsh ground effects within certain parameters; such as typical forest/ground clutter conditions. 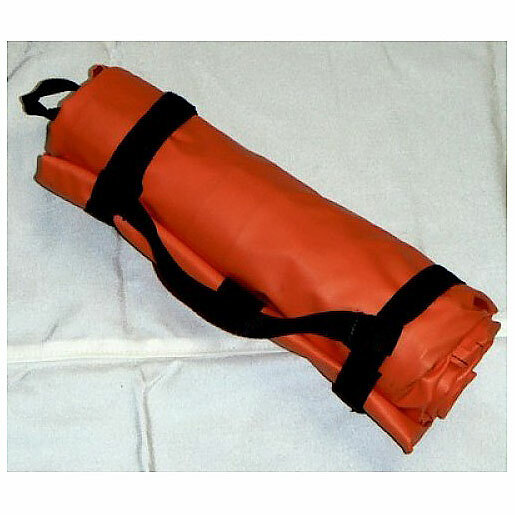 It is highly suggested not to use in areas of heavy Shale conditions or jagged rock environment. Also, not to be drug on hard road surfaces. 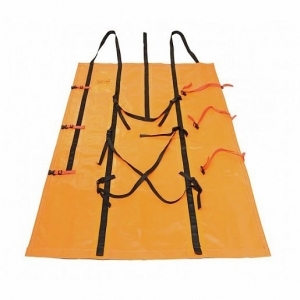 Otherwise, the Sled will move over blowdowns, heavy brush, and some rock and broken ground surfaces, with a motion similar to a snake moving over these items, all the while securing your game within its securing straps and covering. Q: What weight will the Game Sled™ handle? Q: How does the Sled perform in extreme weather conditions? A: The material utilized to manufacture the Sled line will/does unpack and allow the user to secure their game into the unit even in temperatures below freezing (even to less than 10 degrees Fahrenheit). All allowing the user to easily be securing the game and then removing the game from the field. The Sled will still move over obstacles, sliding as noted like a snake. 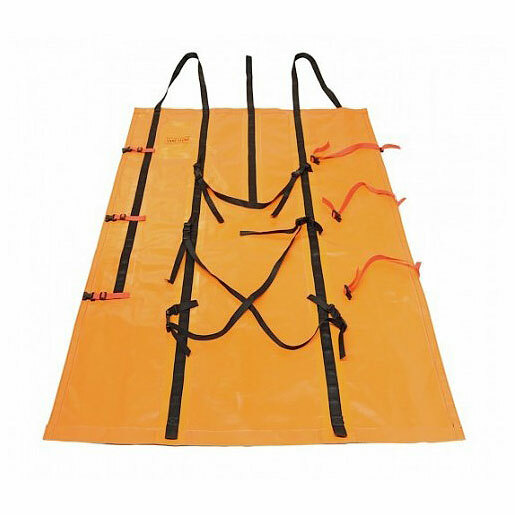 Some typical plastic sleds and other devices have a tendency to crack and fail in these conditions, the Sled will continue to remove game as designed. In Wet conditions or Snowy conditions, the Sled will perform exceptionally (reducing the drag coefficient to almost non–existent). All the while securing the game and keeping all clean from ground clutter or weather. Q: How easy is to Clean the Game Sled™? A: We suggest that after removing your trophy to rinse with soap and water to remove most of the remains from your harvested animal. This to be followed up with a mixture of bleach and soap in a spray bottle; apply liberally to the game side of the sled and allow to dissolve and neutralize blood matter, followed up with a comprehensive rinsing. 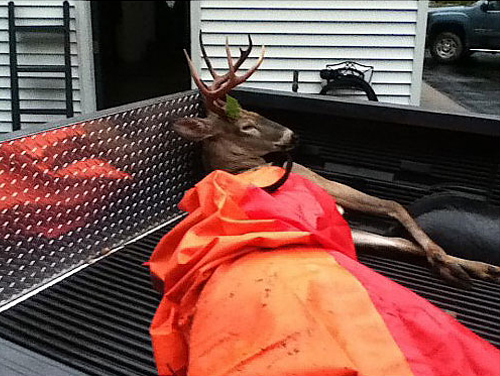 This will remove any odor from game animals remains, help as well neutralize the bleach odor. 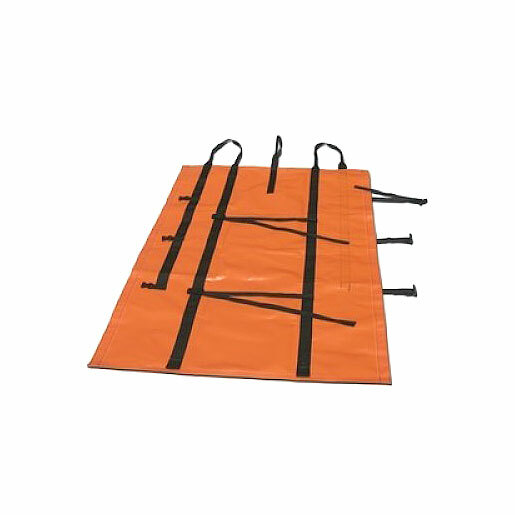 DO NOT have the Sled remain in the sun for a prolong period of time, just allow to drip dry and remove from extreme sunlight. 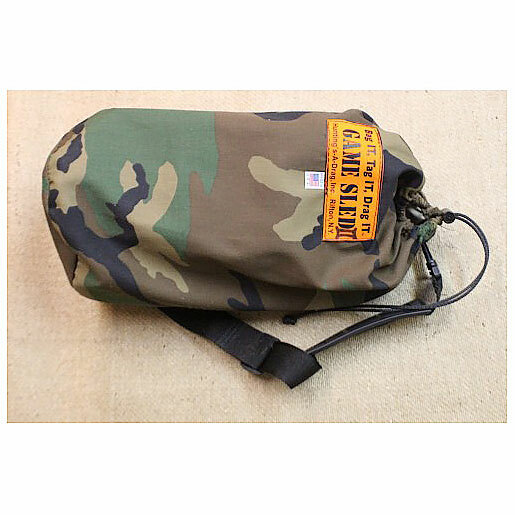 Prolong exposure will degrade the webbing products over a period of time. 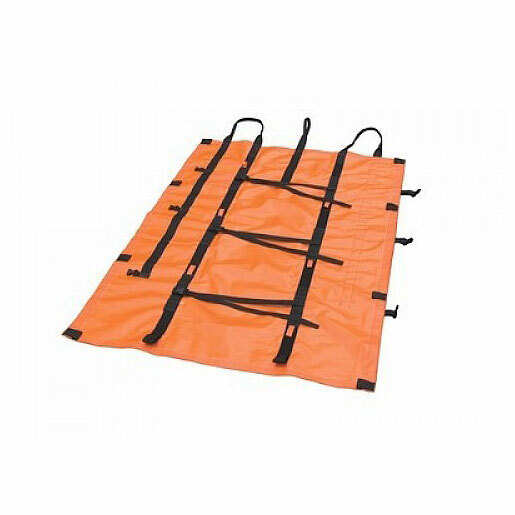 Q: What is the Service Life for a Game Sled™? 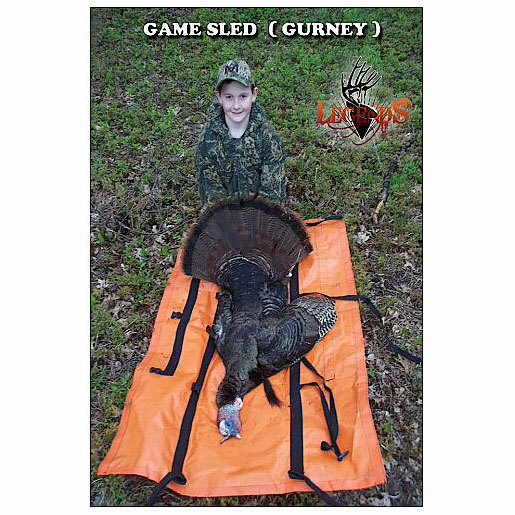 A: We have Sleds that have been in the field for over 10 years and are still being used. Take into fact that most hunters may take one but on occasions more each season, the Sled pays tremendously for its service to a hunter. Having the ability to bring a less bulky unit to the field and extract game in good order is a huge asset to a hunter, not to mention the minimized strain to perform the most demanding aspect to a successful hunt! Gained as well is the condition of the game taken is in pristine condition for both the meat and hide. Keeping the Sled in good condition will allow many years for game to be extracted from you hunting adventures! Q: What if I tear or produce a slice to the Game Sled™? 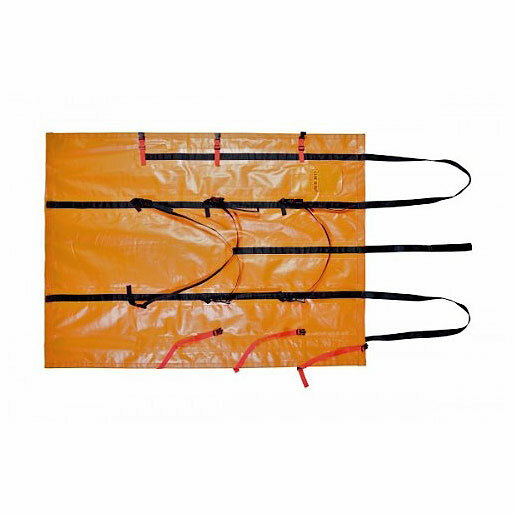 A: The Game Sled™ is made from a material that is easily repaired at home (no need to send back to us unless so desired). We will supply a repair kit and full instructions (including a number to call if you require assistance), allowing a repair to be made. 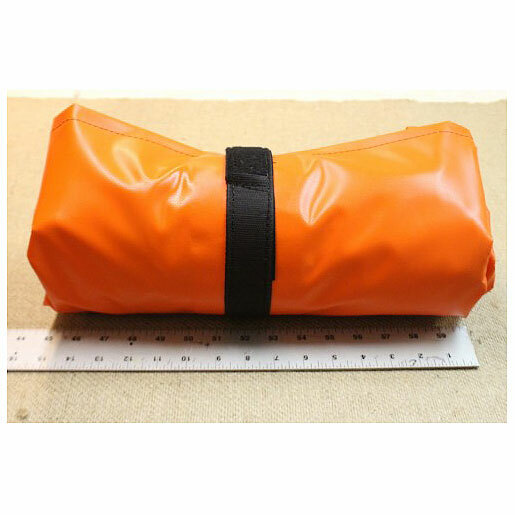 The kit comes “at cost” pricing plus shipping for any repair to the vinyl sheeting as needed. 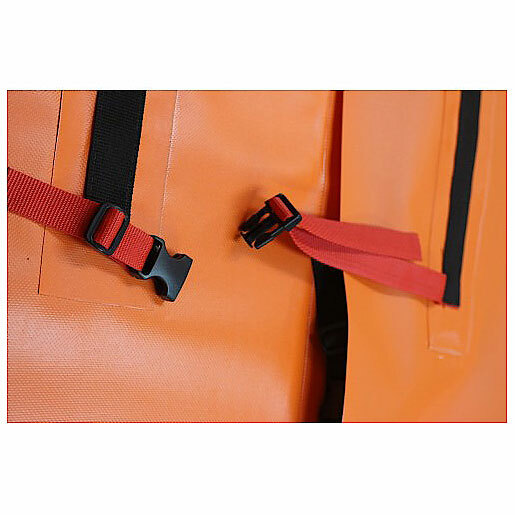 As to the buckles and clips, these as well, are available to allow the Sled to be brought back to serviceable order. Q: What other activities can the Game Sled™ perform at? 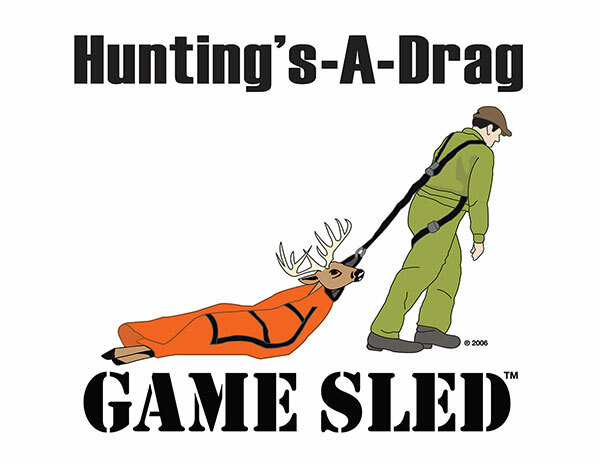 A: The Game Sled™ was not only designed for game removal, but as well can assist in setting up hunting areas by allowing increased volumes of equipment to be brought into the field. 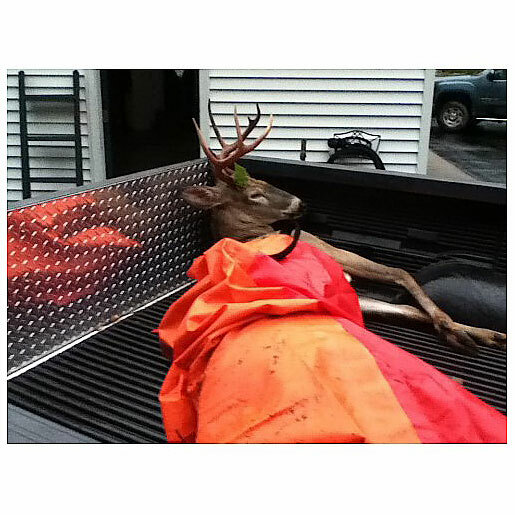 This activity will reduce the time and multiple trips into the hunting area (reducing human exposure/odor to the area). 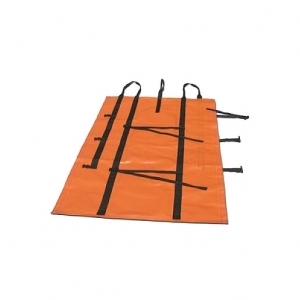 Also, can be used as a Stretcher in the case of an injury (instructions and added straps come with the Sled). All this and not to mentioned as a shelter, in case a hunter is caught out in a sudden change in weather and requiring some type of shelter from the event.